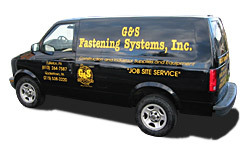 G&S provides FREE on-site delivery for builders, contractors, and other customers at job sites within our local delivery area. Our own fleet of delivery trucks and vans ensure that critical equipment and supplies will arrive just-in-time, keeping our customer's jobs moving smoothly. In most cases, delivery is same day.